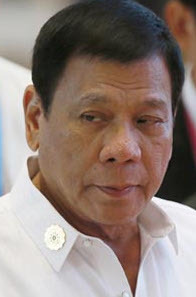 Rodrigo "Rody" Roa Duterte (born March 28, 1945), also known as Digong, is a Filipino lawyer and politician who is the 16th President of the Philippines, in office since 2016. He is the first Mindanaoan to hold the office, and the fourth of Visayan descent. Duterte was among the longest-serving mayors in the Philippines and was Mayor of Davao City, a highly urbanized city on Mindanao island, for seven terms, totalling more than 22 years. He has also served as vice-mayor and as congressman for the city. Philippines Summons US Envoy Over President Rodrigo Duterte 'Threat' Report. US envoy Sung Kim met Duterte's chief aide on Thursday to discuss the US "Worldwide Threat Assessment" released last week, the two nations said. World | Agence France-Presse | Updated: February 23, 2018 17:54 IST. 2 Shares. EMAIL.